Slide back the doors on their easy glide system, step in, engage the magnetic door sealing and enjoy an invigorating shower. 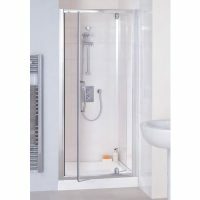 The Corner Entry shower screen is a wonderful addition to any bathroom. 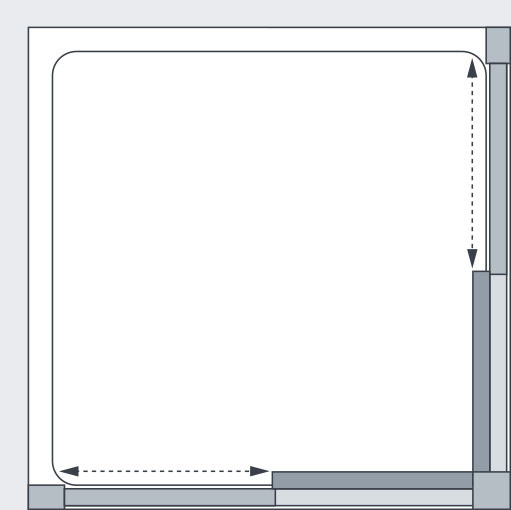 This shower screen features an easy glide system with magnetic door seals to offer the perfect shower experience. 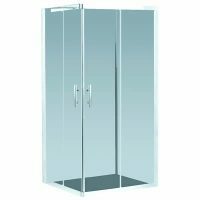 This semi-frameless shower screen is certainly very elegant to look at. While it offers a simplistic appearance, it is equipped with stylish handles. The door of this shower screen is fully reversible and is made out of 6mm safety glass. It is available in 4 sizes; 900x1850mm, 900x2000mm, 1000x1850mm and 1000x2000mm. 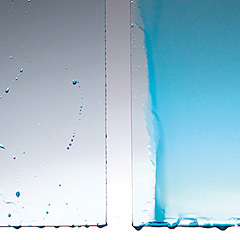 The Corner Entry shower screen features a unique AllClear coating, which makes it super easy to clean. 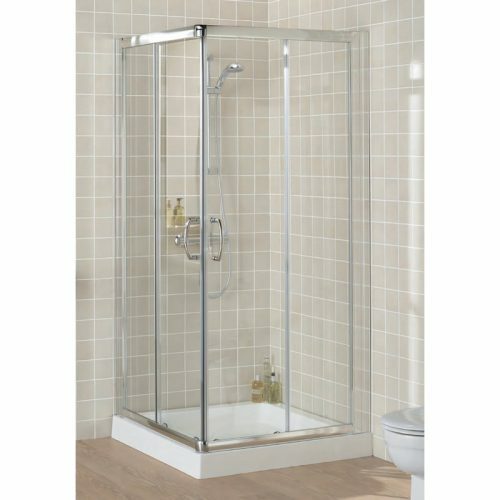 This shower screen has been designed for easy fit and installation in any bathroom. It is manufactured by Lakes Bathrooms and is backed by a lifetime guarantee as well. 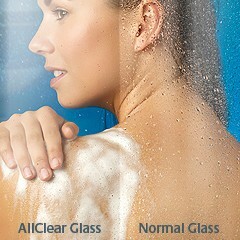 Replace your old shower screen with the graceful Corner Entry shower screen and breathe new life into your bathroom. This product is currently available at the best market price at Ross’s Discount Home Centre. Buy from us and you’ll avail of free delivery within Perth Metro and a 14-day money back guarantee. 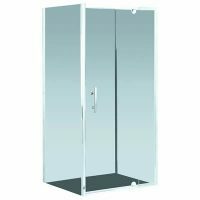 So buy the Corner Entry shower screen today!